It’s been at least 30 years since doctors prescribed single drugs for treating acne. Acne patients no longer get just a disinfectant like a benzoyl peroxide or just an antibiotic like minocycline or just a retinoid drug like Differin. Dermatologists prescribe medications with multiple effects to get rid of as many blemishes as possible. Typically they prescribe an antibiotic plus a retinoid plus benzoyl peroxide. Finding the right combination of medications to fight acne without prescribing too much can be a difficult process. There are increasing suggestions in the medical literature that using three medications for treating acne at the same time is just too much. In particular, adding a retinoid like Accutane, Retin-A, Tazorac, or Differin to benzoyl peroxide and an antibiotic often causes more irritation than it prevents. That’s why it’s news when new combinations are suggested and they are just duos, not combinations of three or four drugs or more. Here are two of the new acne medication combos being suggested in the medical literature. The brand name drug Ziana, which is also marketed as Bianca (there is a similar product in a different strength called Veltin), is a combination of clindamycin antibiotic and tretinoin gel. The antibiotic kills acne bacteria and the tretinoin gel is intended to stimulate the growth of the skin beneath pores to open them for better drainage. Tretinoin gel also peels away dead skin. This combination was approved by the US Food and Drug Administration for use in the USA in 2006 and by HealthCanada for use in Canada in 2010. Its advantage over using the medications singly is that it combines a relatively low dose of clindamycin with a relatively low concentration of tretinoin topical. In the first study of the combination therapy, over 87% of users showed no complications. It did not cause the skin to flake and peel and it did not cause excessive redness, swelling, or itching in most users. When the combination did cause problems they were usually immediate. About 7% of users got sunburn. About 1% of users had a sudden flare of even-worse acne, probably because the clindamycin killed all but antibiotic-resistant bacteria, which then had no competition from other germs and no control from clindamycin. About 1 in 80 users turned out to be allergic to the drug, and about 1 in 100 experienced rawness where they applied the gel. But nearly everyone got some control over blemishes in just one week. What the companies don’t tell doctors is that most people who use Ziana or Bianca to treat acne need to be sure to use moisturizer. The directions say it is best to use the product at night, but it’s probably imperative not to use the product during the day if you want to avoid heightened susceptibility to sunburn. Users of Ziana and Bianca who have severe acne are more likely to report that the product smells bad. That may be another reason to be sure to use it at night rather than during the day. Epiduo, which is also marketed as Tactuo, is a combination of the kinder, gentler retinoid drug adapalene (Differin) and the standard acne medication benzoyl peroxide (BPO). The combination was approved for treating acne by the FDA in the United States in January 2009 and for treating acne in Canada by HealthCanada in May 2011. This product uses a relatively low 0.1% concentration of adapalene and a relatively low 2.5% concentration of benzoyl peroxide. The problem with benzoyl peroxide has always been that the concentration that is high enough to fight acne is usually also high enough to cause complications. Very few people have any kind of adverse reaction to 2.5% benzoyl peroxide, but this may not be strong enough to keep acne bacteria under control. Very few bacteria can withstand 10% benzoyl peroxide, but most users will experience intolerable dryness, redness, flaking, peeling, swelling, and pain. Even a 5% concentration of benzoyl peroxide is rejected by about 70% of people who use it. The makers of Epiduo found that 98% of acne patients who used the combination of low doses of both drugs were able to continue to use the drug for at least three months. That is not to say there were no problems at all. About 17% of Epiduo users complained of dry skin. But unlike tretinoin, adapalene does not cause sensitivity to sunlight, and none of the users of Epiduo complained of increased susceptibility to sunburn. Some users report immediate and “massive” positive results from using Epiduo. It sometimes even helps erase acne scars. 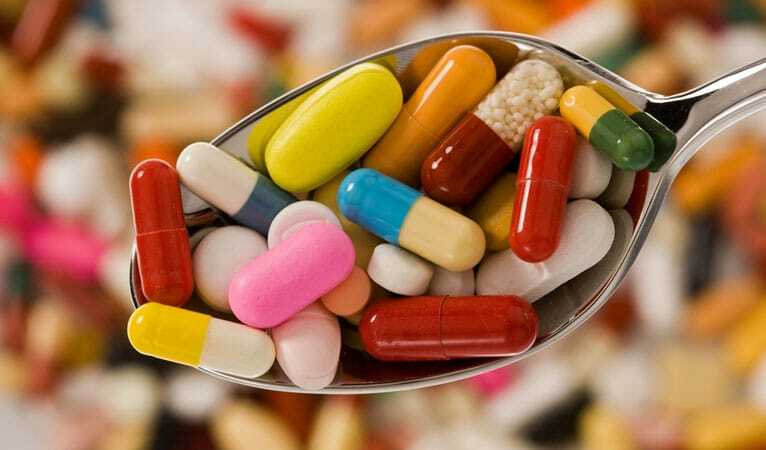 If you have been using antibiotics, however, you may be at risk for a massive breakout when you start using this drug. Neither component of Epiduo is an antibiotic. If you have been using an antibiotic and you suddenly stop, the bacteria kept in check by your antibiotic medication may suddenly multiply and cause pimples all over your face. It’s actually more likely that you would experience a “bloom” of staph or strep bacteria than acne bacteria when you stop using antibiotics, but either way, the result is a major change to your complexion in a bad way. Other users report that Epiduo temporarily increases the number of bumps on your face. The adapalene (Differin) component of the medication increases the production of new skin cells. These new skin cells pull the skin back from pores. As this is happening, the hardened sebum that has been clogging the pore begins to rise to the surface, causing a new white or yellow (but not red) bump. This matter should fall out of your skin if you keep up your cleansing routine. Ziana and Epiduo minimize side effects by using lower, gentler doses of anti-acne medications. But it’s even better to round out your acne treatment with methods that don’t use medications at all. Everyone who has acne needs a good cleanser, a good exfoliant or microdermabrasion tool, a good serum, and probiotic therapy. These are the kinds of treatments you can get from Exposed Skin Care. At Exposed Skin Care, you can find 10 ways to fight acne that cost you on average $10 or less—and all their products come with a one-year, money-back guarantee.